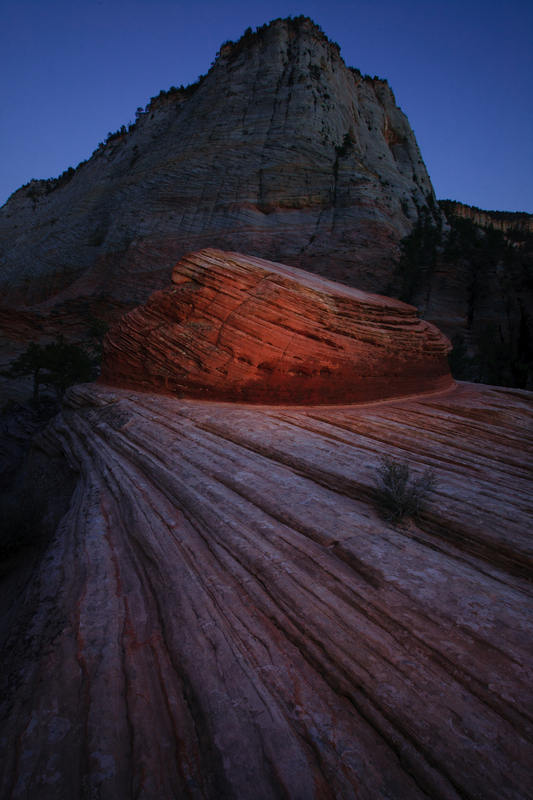 Massive sandstone cliffs of cream, pink and red, plus slot canyons and rugged terrain make Zion worth the pilgrimage. 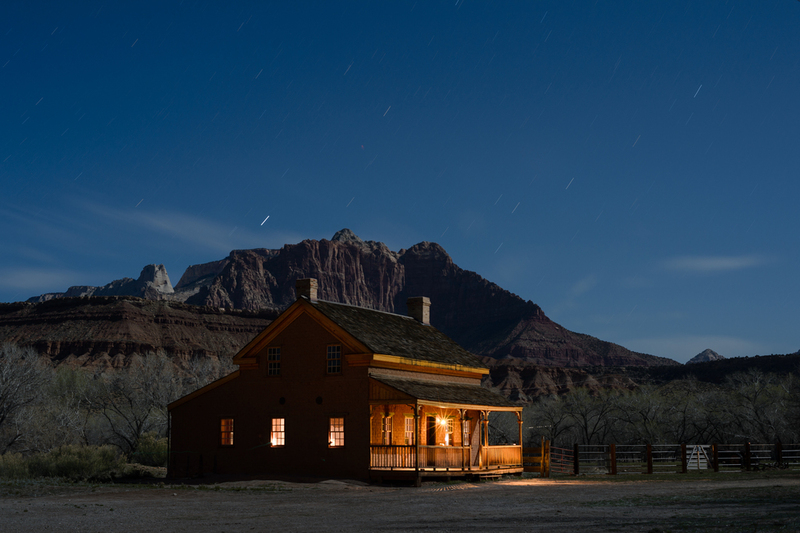 Boasting some of Utah’s most awe-inspiring red-rock peaks, Zion National Park and its amazing landforms are a perfect complement to the night sky. NOTE: Deposit of $300 required to reserve your spot at the workshop. Balance of $950 due on 4/23/2016. Or, you may choose the "Pay in full" ticket if you desire to pay all at once. 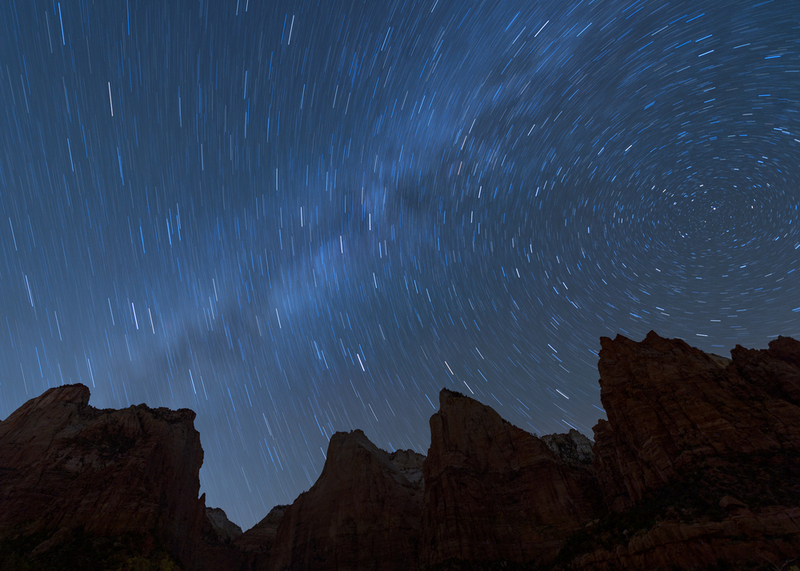 This five-day/four-night photography workshop takes place during one of Zion’s best seasons. Temperatures can vary throughout the park due to its range of elevations, but May temperatures are nearly perfect. Nighttime averages are in the low 50s, great for long exposures, while the days are typically in the comfortable low 80s. Early afternoons will find us sharing and learning in the classroom with lectures or critiques while evenings and nights are spent shooting in the field. Most nights we’ll spend time in two separate locations but some locations are so epic, they deserve more time. Locations may include the famous Lone Pine, Towers of the Virgin, the Court of the Patriarchs, Checkerboard Mesa, Grafton Ghost Town, The Great White Throne and several lesser-known gems. While in the field, the instructors will demonstrate their own techniques and will work with participants one-on-one to ensure everyone gets the most out of the workshop. 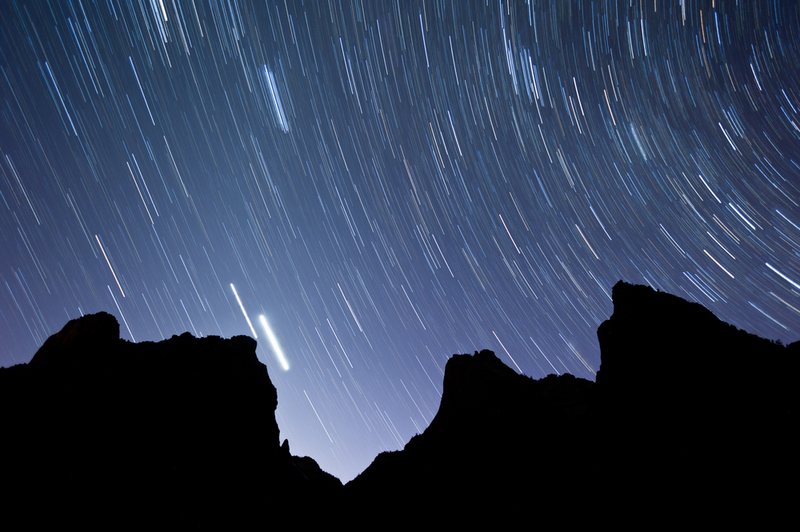 This workshop is for anyone who is interested in exploring Zion’s magnificent landscape while gaining a deeper understanding of night photography. Making new friends, learning new techniques, having fun and bringing home some epic images is guaranteed! The workshop is based at the cool little town of Springdale, which sits right outside Zion National Park. We have secured a block of standard rooms at Hampton Inn & Suites, Springdale. Once you make your workshop deposit, you will receive a code that can be used to reserve one of the group rooms. The group reservation is for 6 nights – checking in May 22 and checking out May 28. 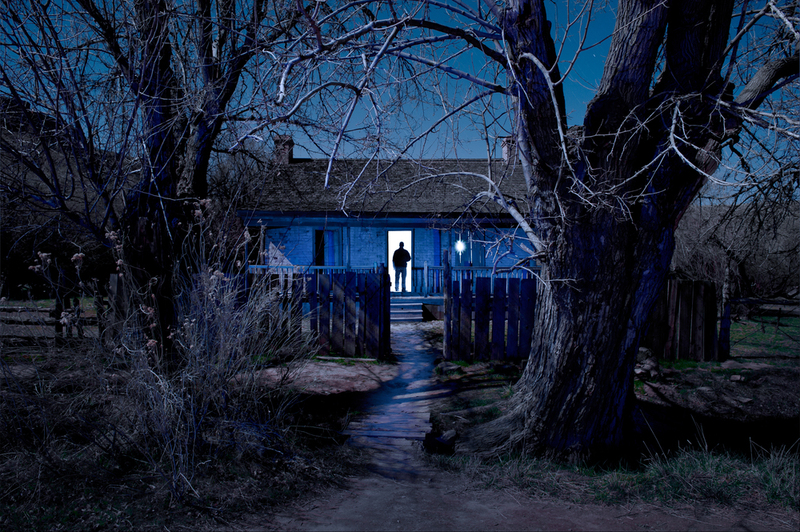 The workshop begins Monday, May 23 at 10:00 a.m., and ends after the shoot the night of May 27th. 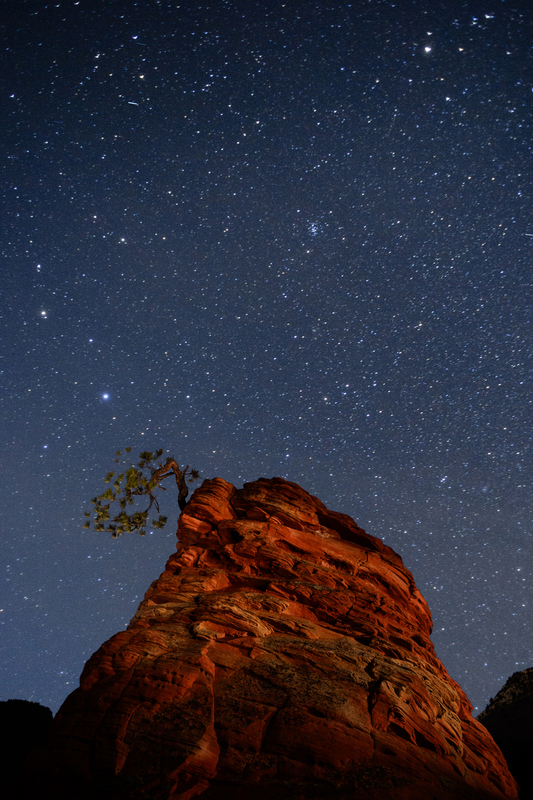 If you prefer, camping is available in Zion National Park. Dining options are plentiful in Springdale with several unique restaurants. I’ll never forget my first reaction to Zion National Park. It was a keen mix of awe and depression. My friends had just returned from a sojourn across the southwest and were sharing pictures and stories from their time on the road. I was so envious of their adventure because I had been invited to go, but I couldn’t make the trip due to prior obligations. Their pictures of Zion really made an impression – I had to get down there. That evening, one of the trio of desert rats noted my mood and kindly offered to return to Zion with me the very next day. I was ecstatic! a) It was my first trip down to the Southwest, b) I was going with a great friend, and c) the towering peaks and verdant valley of Zion awaited our arrival. That was May of 1993, and ever since then I have visited Zion at least once a year. I love the national parks and each one has its own unique flavor. They are all so awesome, I’ve had to make separate categories to define my favorites. The park I would most enjoy living in, favorite weather, best hiking, etc. Zion is my favorite park for photography. It’s the only park I know where great images can be made at any time of the day or night, any season and in any weather. Its majestic peaks can be rivaled only by the sheer quantity of intimate and macro subject matter. There is a cacophony of color within its red canyon walls, vibrant green foliage and deep azure skies. I can’t imagine a better place to help inaugurate National Parks at Night!